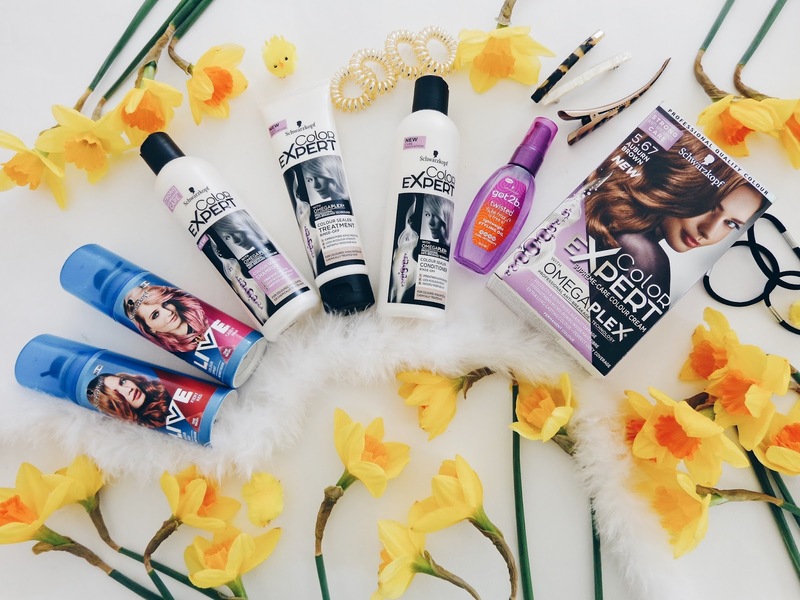 Today I wanted to share with you all a one brand exclusive beauty post, specifically on Schwarzkopf's extensive hair care range. 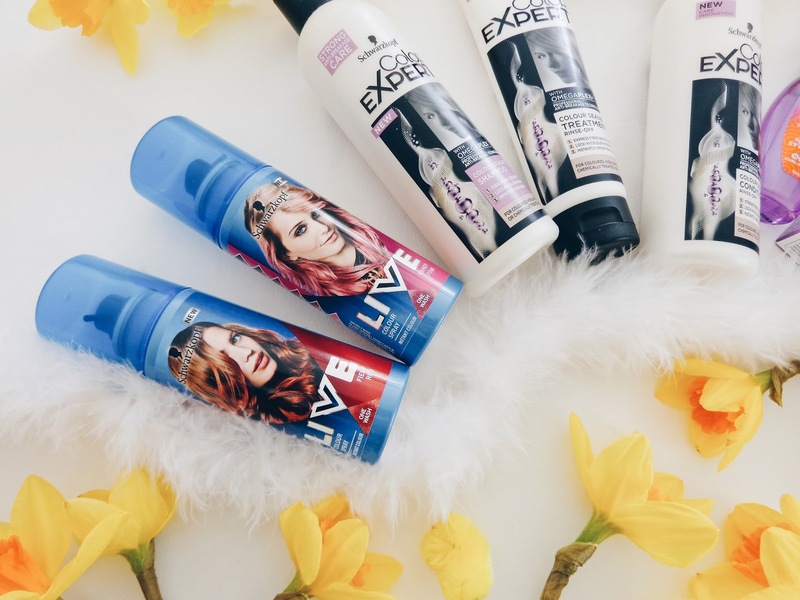 I was lucky enough to be kindly sent over a few of the Colour Expert, got2b and Live Colour products to try out and let me tell you, they are a hair care dream team! I personally have really long straight hair, so it's super important that the ends stay nourished and hydrated. I like it to look silky smooth with minimal fly-aways too so I was excited to try out some new shampoo and conditioner to see if it helped me achieve that signature look that I most love! 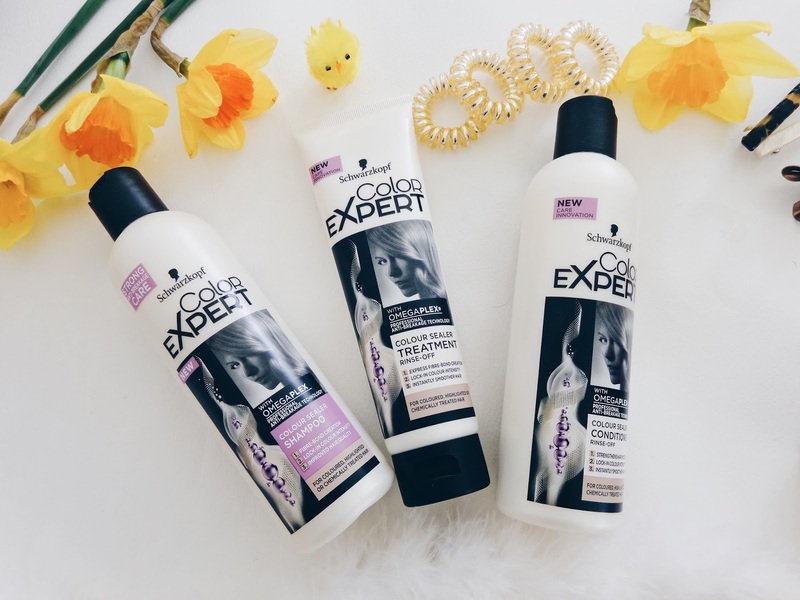 The Colour Expert shampoo, conditioner and colour sealer treatment are a great trio that work so well together. Of course we all know that using the full product range from a brand can be really beneficial when trying to maximise their capabilities and get the full potential out of them! These three products are infused with Omega which is a type of oil which nourishes and supports hair, so that it has a lustrous and oh so glassy shine to it. The OmegaPlex formula has professional anti-breakage technology in it, so it helps to keep hair strong by strengthening the hairs' micro-bonds which helps to keep the split ends at bay. These three hair products help to create instantly smoother looking hair and also lock in colour which is important for anyone who has chemically treated hair and has either an all over colour or highlights, as it helps to maintain that fresh and vibrant colour. Three of a kind. A three-part home hair care routine that will help it to look in tip top salon condition from the comfort of your own home. 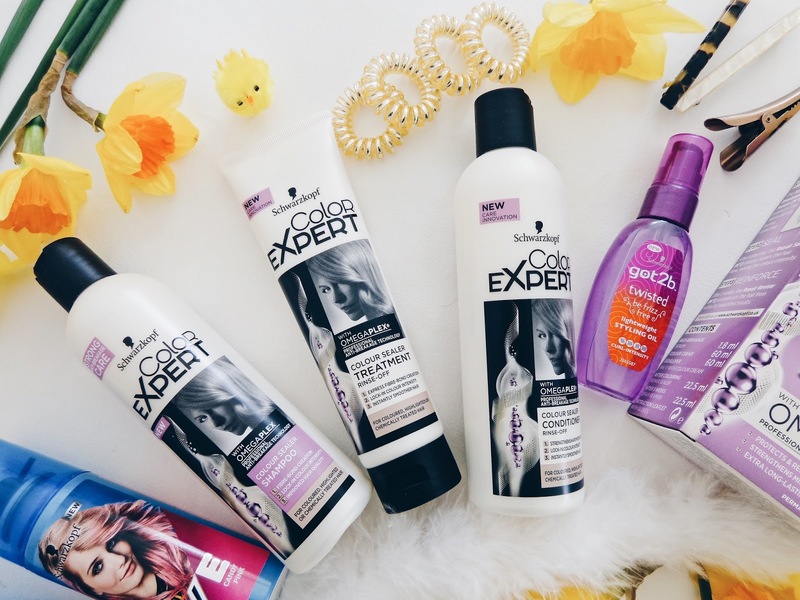 Check out the Colour Expert range from Schwarzkopf range online. 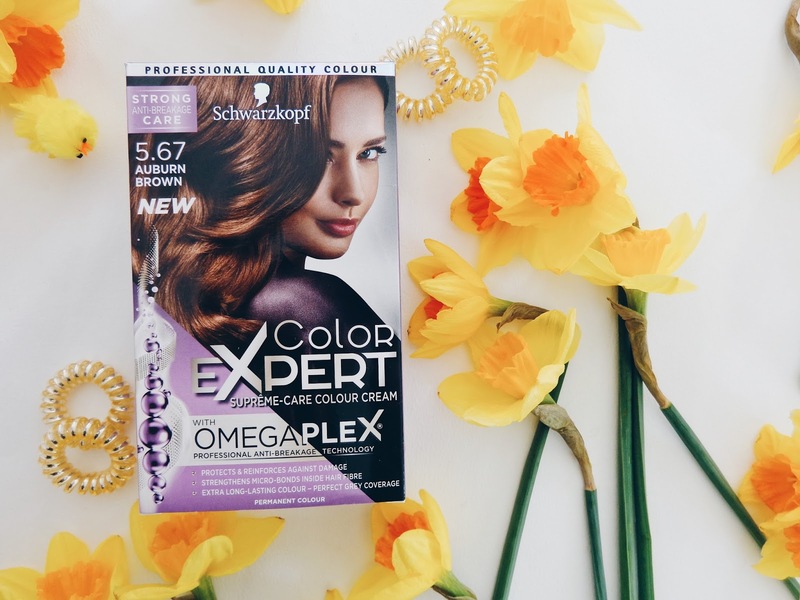 Schwarzkopf also do an extensive range of home hair colours which should be followed with the OmegaPlex hair care range for optimum results. I received the shade 5.67 Auburn Brown and it looks like a really nice tone if you love a rich brown tone to your hair but want it to have facets to the colour and for the warm base tones to catch the light nicely. It includes an anti-breakage serum, to protect hair's micro-bonds during colouring, a Repair Sealer to deeply repair the hair fibre, sealing in colour intensity and then the Reinforce step is a Repair Reviver which cleverly reconstructs the hair from within for beautified results after three weeks. Okay, so with festival season just weeks around the corner, there is not better time to start getting those all important festival essentials gathered together and ready in advance. 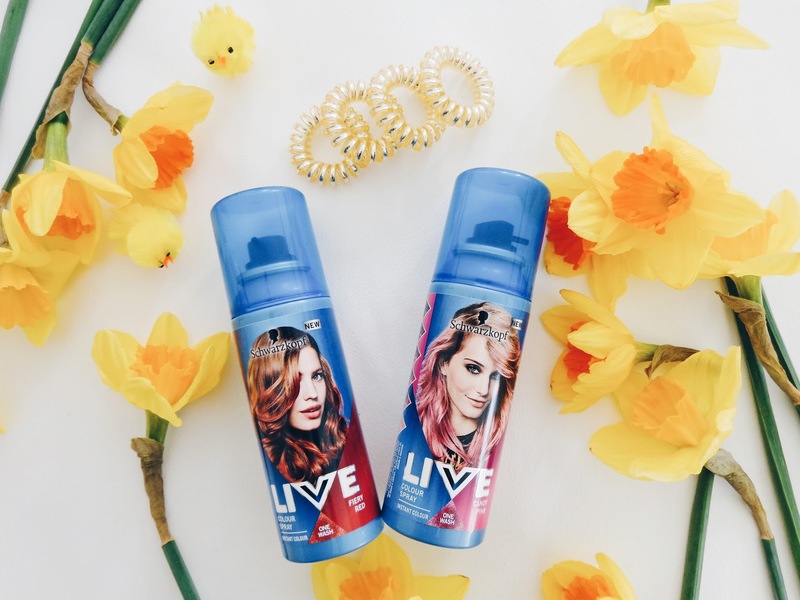 The Live Colour spray in wash out temporary hair colour sprays are a vibrant, funky and exciting way to change up your look for the weekend and experiment with something new. I received their Candy Pink and Fiery Red one wash sprays and can't wait to spritz them in my hair for a fun new look this summer! They work easiest on lighter hair, as it makes the colour more noticeable, but they can work on all tones up to dark brunette. Sprayed into French braids or beach waves, these exciting colours add a pop of vibrancy and fun to any look. 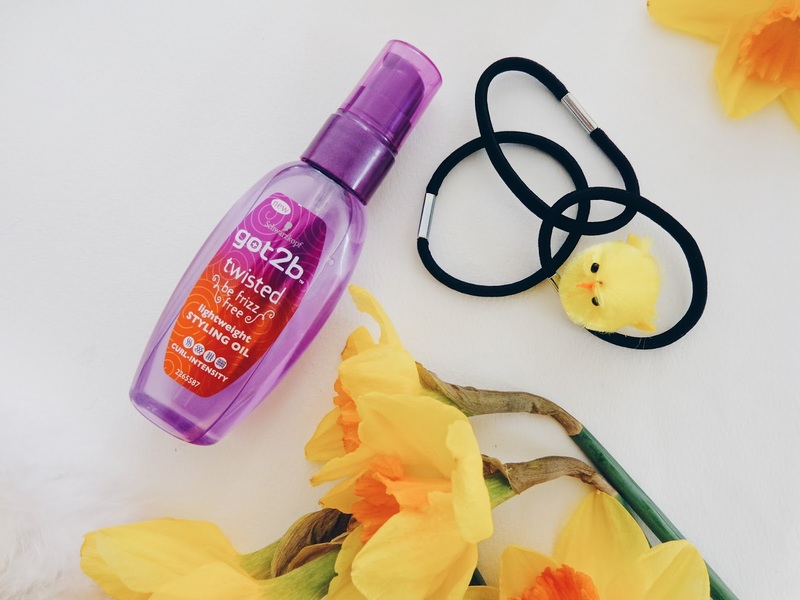 I have also been trying out the got2b twisted be frizz free lightweight styling oil which perfect for ensuring your locks are officially frizz free for up to 96 hours. 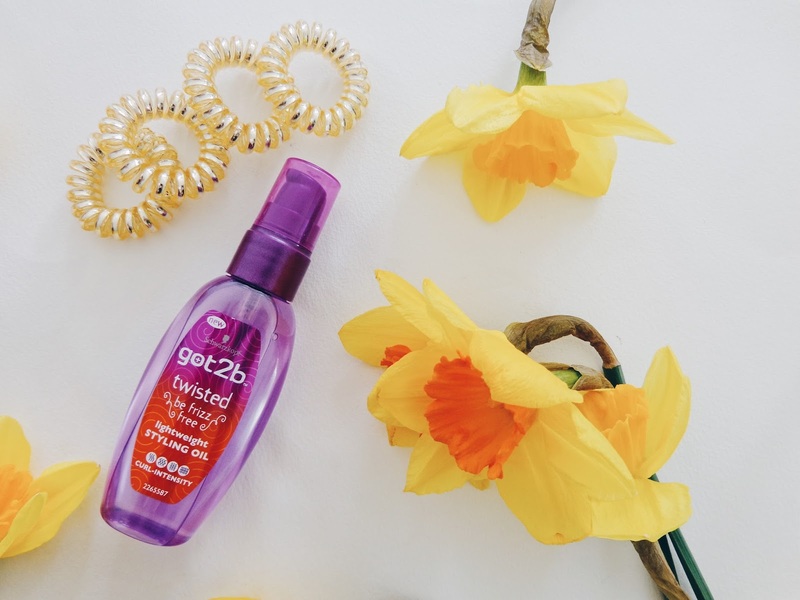 The lightweight styling oil tames and smoothens your hair for a frizz-free finish, which is ideal in humid summer weather! I would definitely take this on holiday with me to nourish my hair after washing it after a day at the beach or in the pool, as it will really need some deep nourishment after that and some help to regain its smooth and sleek finish. This blog post contains PR samples from Schwarzkopf. All views and opinions remain honest and my own.